17-year old Maty has a mass on her face. It doesn’t hurt much, but it is affecting her jawbone. A diagnosis and treatment plan will depent on the results of a biopsy. Maty is the elder sister of twins Assane and Ousseynou. In the past Stichting Petite Cobi has helped this boys when a wall fell on them. Ousseynou also broke his wrist while playing soccer. The two little rascals are doing fine now. Hakim from Burkina Faso is making good progress. Due to meningitis he lost partial control of his muscles. He now gets physical therapy every week. His walking is improving and he is using his right hand more. We paid another 20 sessions for him, costs: 50 euros. 3 year old Mohamed has urinary passage problems. Earlier this year he has had several analyses. He also had a catheter for several days to test his kidney functions. The conclusion is a stenosis of his urinary passage, which causes overloading of his kidneys. With the help of medication he is doing much better. The next months will turn out whether this is enough or if he needs surgery. Assane, 17 years old had serious hart problems. He now is sufficiently recovered to be referred to a cardiac specialist in the national hospital in Dakar. The next weeks he will have further analyses and tests, after which a treatment plan will be determined. 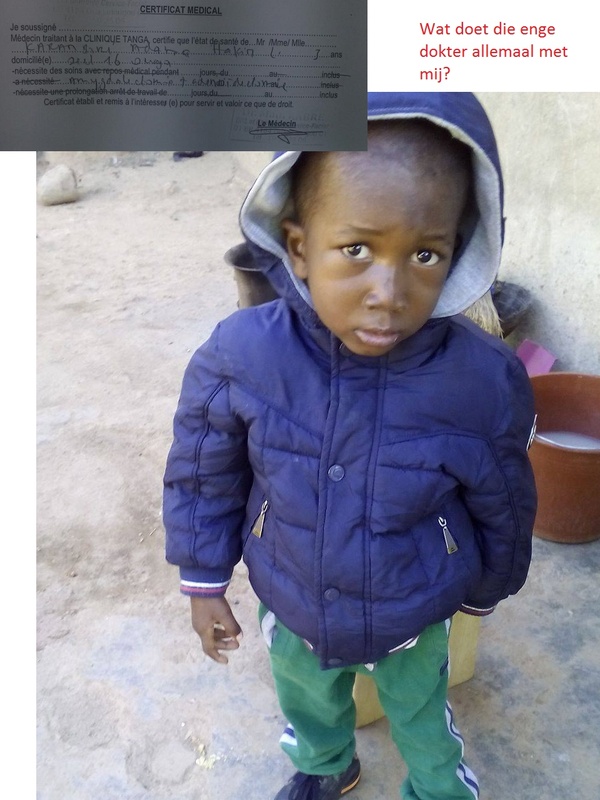 Two year old Habib is doing well. When we met him he had serious respiratory problems. He now is under control of an ENT specialist and with the help of medication he is doing much better. His next appointment will be in august. Little Babacar is ready for his second surgery. He has Hirschprung disease, a congenital disease whereby a part of his bowels don’t function. Because of this he has very serious constipation. The costs of his operation is 375 euro. If we have enough funds he will have his surgery this summer. This Ramadan, we would like to ask you to remember the Children of Senegal: many are malnourished, hungry and in urgent need of medical help. Ramadan is a time when Muslims come together in community spirit, collective worship and to share prosperity. This Ramadan we would like to ask you to show your concern for the many children in Senegal, who are hungry all day, every day, every month of the year – not just in the month of Ramadan and to share with them a little bit of yo…ur prosperity. With your donations, we will provide milk powder and medical assistance to malnourished and sick children and remind them that we stand by them. 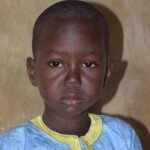 Just go give one example: little Babacar of 4 years old is suffering from Hirschsprung disease since birth, causing constipation and growth retardation. 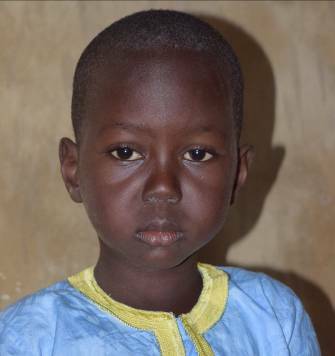 Your donations will contribute to a healthy future for Babacar as well as of hundreds of other children. You can show your concern and solidarity for these children in need by simply making a donation (your zakat) to our foundation. It is the fastest and simplest way to make a difference. Please check our website and/or Facebook page for regular updates onthe Children we help with your donation. Have a blessed Ramadan. RAMADAN MUBARAK! Are you a so-called “idea fountain” who flashes good ideas all the time? Then, why don’t you use your talent for good use? Apply now to fundraising idea contest… for a chance to win home-made apple fie filled with love from Stichting Petite Cobi! As a foundation attends to a healthy future for mothers and children in Senegal, we want to provide more medical care for them. To do so, Stichting Petite Cobi now seeks to find the most actionable and brilliant ideas to be featured as our fundraising events. We would like to borrow your sparkling ideas because it is beneficial to have more than few ideas to create an event which can appeal to as many people as possible. Please leave your shining ideas on our Facebook site or send us an email to info@stichtingpetitecobi.org. Ideas are preferred to be articulated in detail so we can understand how it can be featured / what exactly the targeted point is. Don’t forget to leave your email address with your idea so we can prize you with our love-pie when your idea is chosen! Being a boy of 17, one would like to play soccer with your friends, go to the disco and dance, or maybe studying hard for school exams. One thing one does not want to worry about is its health and whether there is enough money to pay the next health consult and medication. 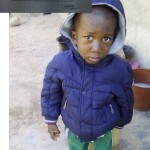 Can you contribute 25 euros to a healthy future for Assane? We might be looking for you!! Are you interested in contributing to a better world, gaining experience and improving your Curriculum Vitae? Petite Cobi Foundation, founded in 2006 by students and young professionals, is committed to medical care for mothers and children in Senegal. The foundation contributes to this goal through the construction of a dispensary in the region Terokh/Yendane and the reimbursement of hospital expenses for severely ill, malnourished and/or handicapped children. The board gathers 4-6 times a year. The time commitment fluctuates somewhat, but is estimated at 1-2 hours a week on average. Since the board meetings are usually digital, your place of residence is not of great relevance. Would you like to become the new board member of Petite Cobi Foundation? Send us your motivation at info@stichtingpetitecobi.org .